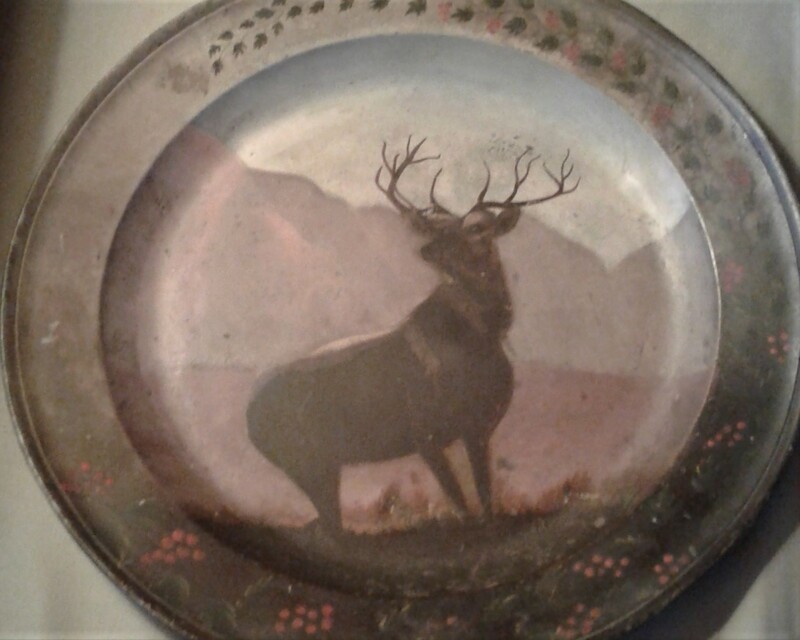 16 1/2" Pewter Charger with a later folk art painting of a stag in mountain scene. Botanical decorations on rim. The charger was made by Jonathon Watts, 1725 to 1765.